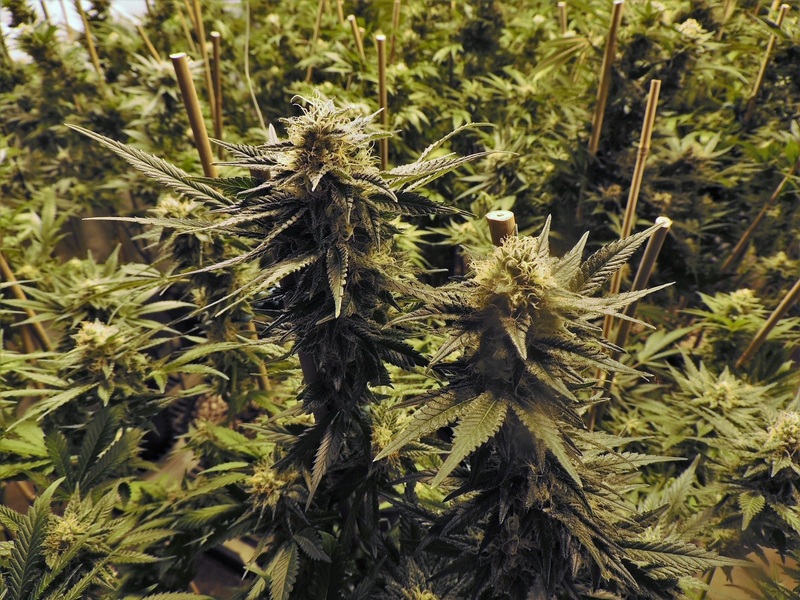 Arizona voters will find these opinions and more among the pro and con arguments for Arizona’s marijuana-legalization initiative that the state published last week. It’s an entertaining, albeit lopsided, glimpse into various views on the issue. In November California voters will have a chance to legalize recreational marijuana — and speculators are licking their lips at the prospect of a green rush in the Golden State. One analysis says California’s legal pot revenues could more than double — from $2.7 billion in 2015 to $6.6 billion in 2020 — if we fully legalize cannabis. 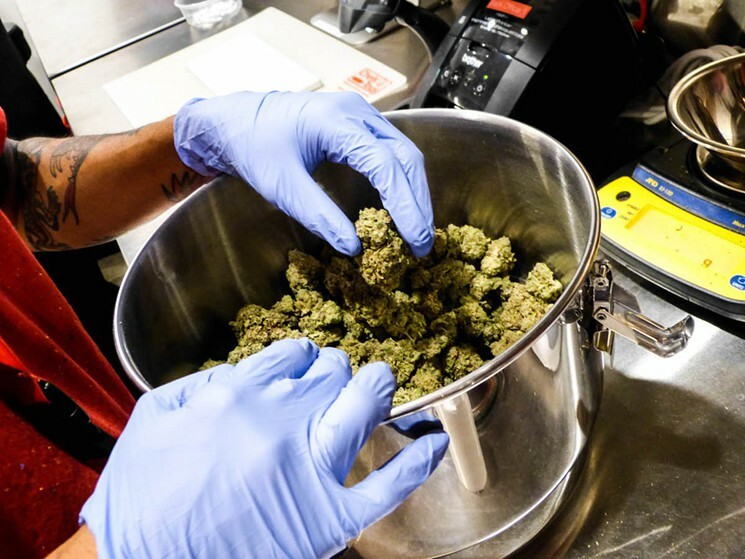 But in the biggest marijuana market in the United States (the city of Los Angeles has more dispensaries than the entire state of Colorado), the industry’s growth could lag, even if recreational weed is passed by voters. 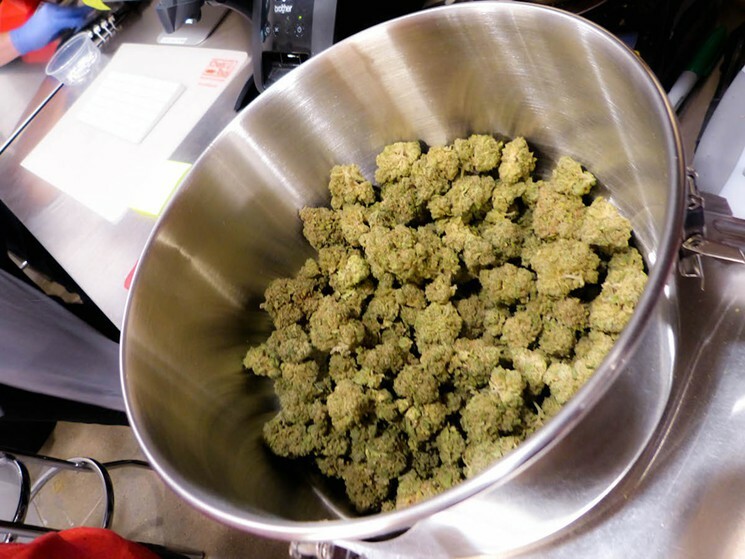 Latinos have been depicted as having an intimate and historic relationship with marijuana. Mexican revolutionary Pancho Villa and his men are said to have smoked pot and brought it with them when they crossed the border, helping to inspire American prohibition early last century. The 1978 film Up in Smoke featuring Cheech Marin made cannabis appear to be an everyday elixir for Mexican-Americans and hippies alike. But the truth about Latinos and weed is little more complex. Older and immigrant Latinos tend to be more socially conservative, particularly when it comes to drug use. The Public Policy Institute of California said last year that a majority of Latinos are opposed to full legalization for pot. That’s why those who are allied against the Adult Use of Marijuana Act, or Proposition 63 (the recreational marijuana initiative slated for November’s ballot in California), are counting on Latino voters to help them defeat it. An initiative that asks if you want to legalize marijuana for everyone 21 and older in California is headed for the November ballot. The office of Secretary of State Alex Padilla yesterday listed the measure known as the Adult Use of Marijuana Act (AUMA) as eligible for the ballot. Organizers, who needed 365,880 valid signatures from voters, are elated. Arizona Congressman Ruben Gallego declared his support for an anticipated marijuana-legalization initiative on Monday, saying it would help minorities and the economy. The 36-year-old Iraq War veteran and Democrat who represents Arizona’s Seventh Congressional District has supported legalization for years. 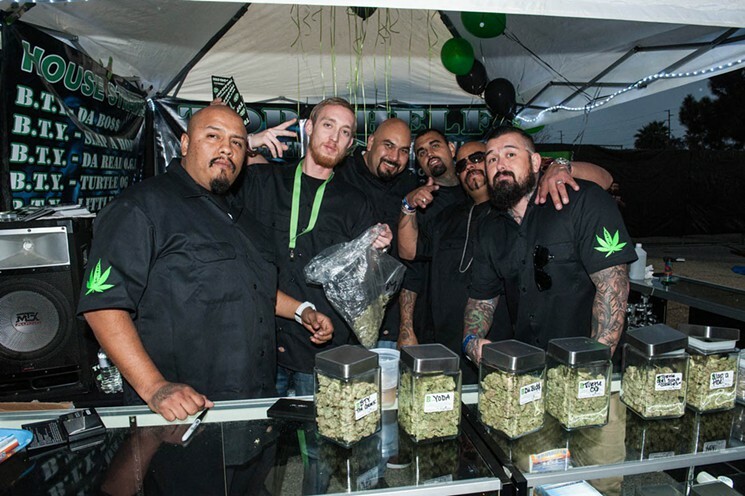 California’s dominant political party is saying yes to drugs. The California Democratic Party’s executive board met in Long Beach over the weekend. It voted to endorse a number of ballot measures, including the Adult Use of Marijuana Act (AUMA), which is headed for your vote in November. The initiative would legalize holding up to an ounce of weed for those older than 21 — no doctor’s note necessary. 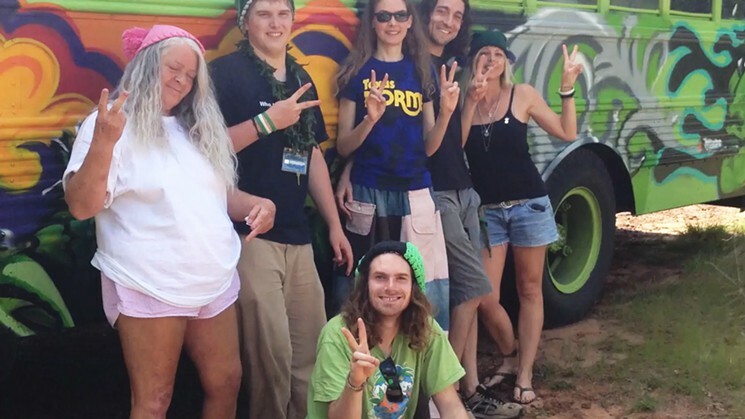 Stacey Theis spent untold hours in recent months tooling across Arizona in her bright-green CannaBus, talking to voters and collecting signatures for a grassroots marijuana-legalization campaign. 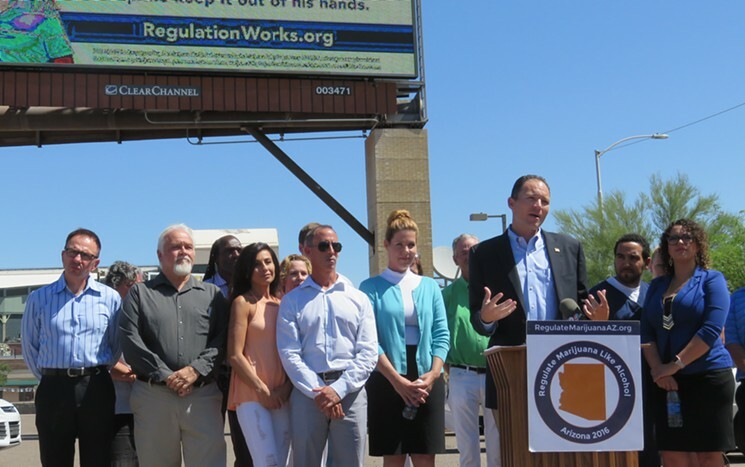 After Wednesday’s announcement by the group, Arizonans for Mindful Regulation, that it was halting its 2016 petition drive a month before the state’s July 7 deadline to hand in signatures, Theis and other volunteers wanted to keep working toward their goal. AZFMR’s website claims that more than 114,000 signatures have been gathered, and Theis believes it’s possible to collect and turn in the 150,652 valid signatures needed to make the ballot. A group that wants to legalize marijuana in Arizona unveiled a Father’s Day-themed billboard on Thursday that urges regulation in order to keep cannabis out of kids’ hands. The American Civil Liberties Union, aka the ACLU, is here to fight for your rights. Smoking weed is apparently one of them. Amen. Backers of an initiative headed for the November ballot that would legalize recreational marijuana announced today that the ACLU of California is in their corner.